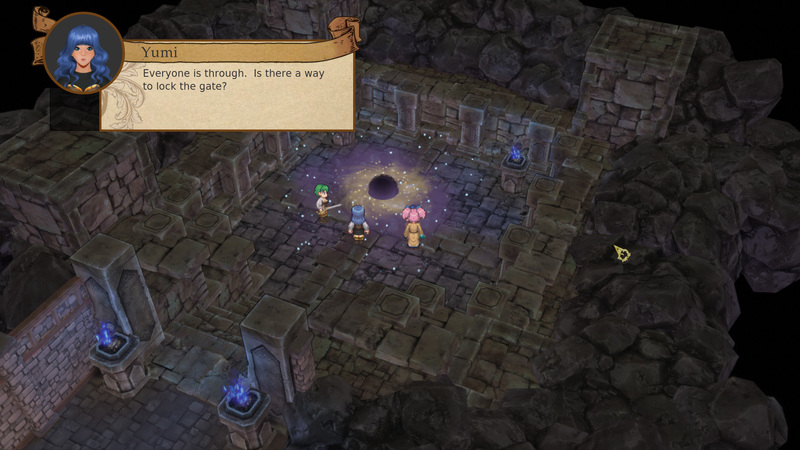 Himeko Sutori’s development is moving along with the addition of a new zone: the Shadowlands. This new area introduces new music, new enemies, and a new look. It’s much more dangerous than the enchanting Sunrise Valley where our story began. We have a lot to show you this month. And for those of you interested in the details of game development, we’ll take a little peek behind the curtain to show you the work that went into these new screenshots. We added a lot of new content and new fixes this month. 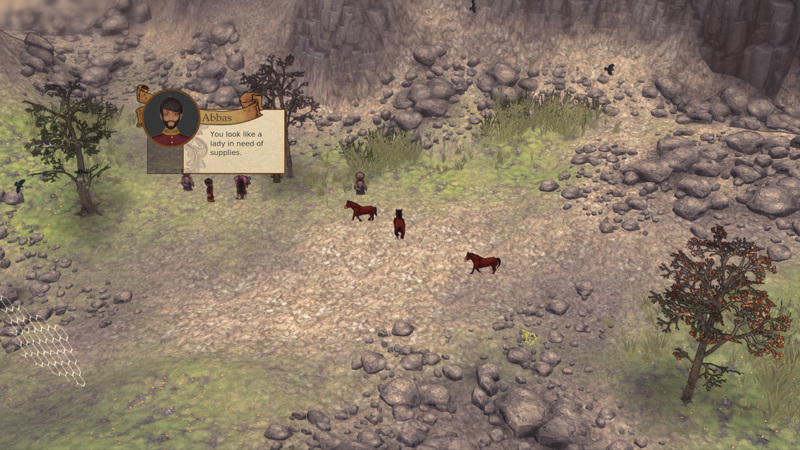 We will try to get a new build onto Steam later today so you can see our progress for yourself. Introducing a new area was a bit of a challenge for us. In our story structure, the heroes have had their debate and they have decided to step over the threshold and into the unknown. The new world they find themselves in has to be dangerous, but not so much as to discourage exploration. 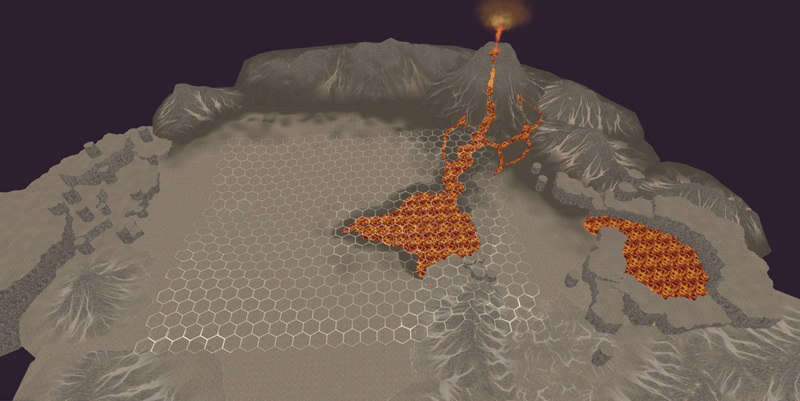 We started putting together a much more threatening world map with a volcano and lava pools. We decided that wasn’t the direction we wanted to go. Lava is a bit too dangerous and dramatic for starting the second act. Still, we really like how that lava turned out and we’ll be putting it to use elsewhere, but for now we decided to go for a haunted-forest feel for the Shadowlands. Getting the look right took a lot of work. We don’t have a full-time 3D artist building new assets, or any remaining budget for purchasing them, so we set to work using what we have. This is perhaps best shown with the rocks scattered around the levels. 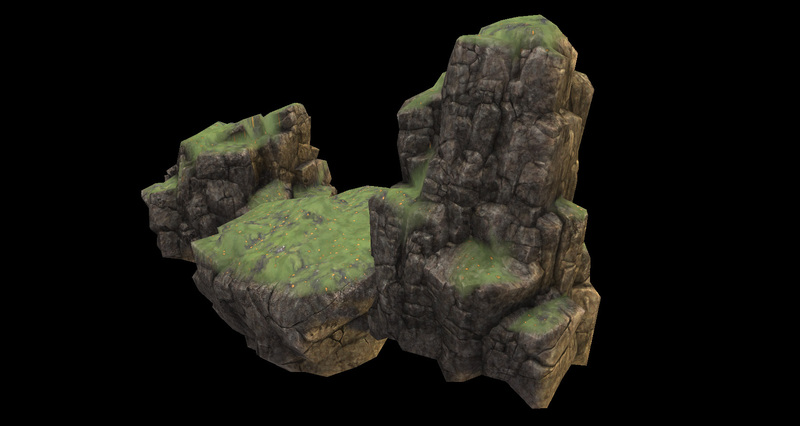 We made materials that keep a constant detail scale regardless of the rocks’ sizes, and that place grass on top of the mesh regardless of its rotation. With just four large rocks and four small rocks, we were able to make all of the varying rock formations you saw in the screenshots above. 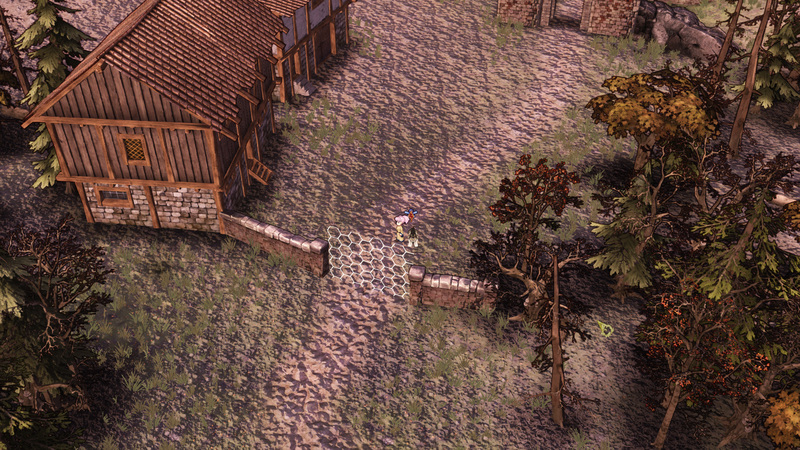 We also had to do some customization on the trees to get them to fit into the setting. Dry, leafless branches looked right for our Shadowlands, but they didn’t mix well with our outline shader. 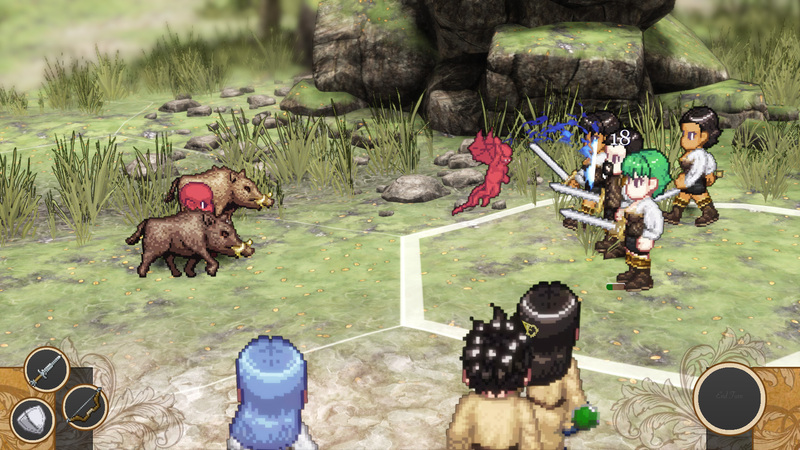 Since the very first Himeko Sutori video we uploaded in 2014, we’ve used a post-process shader to draw outlines around objects in an attempt to tie together the 2D characters and 3D world with a uniting visual feature. That mostly worked well, but when applied to a forest canopy of dead branches, the outlines were basically all you could see. 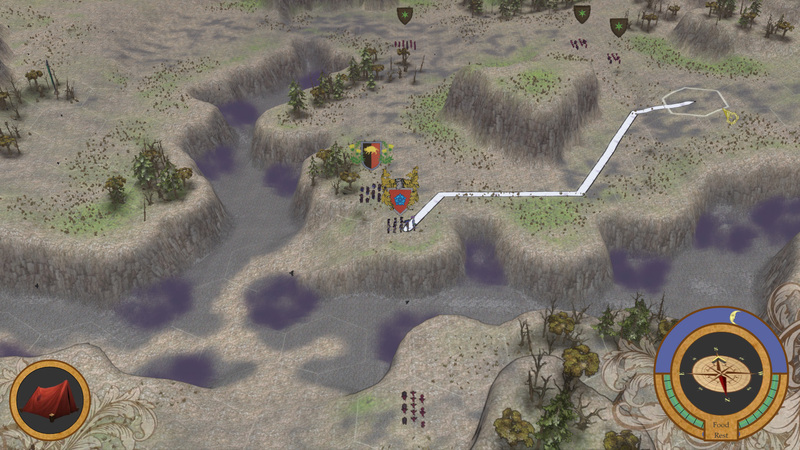 We solved that problem by changing the maximum draw distance of the branches. They transition in and out using a random screendoor effect, and we’re pleased with the results. Now, you can see the branches (with the outlines drawn) up close, but they disappear in the distance, reducing the visual clutter. Besides that, we added a post-process colored fog in the distance. We made more liberal use of the loading screen to reassure players that the game is still working and not frozen. We drew sprite sheets and portraits for boars and imps. We added particle effects for the boars’ goring attacks, the crows flying overhead, and the eerie mist rising from the Shadowlands’ crevices. We made new coats of arms for the new enemies you’ll face. And of course, we are still fixing lots of bugs. Himeko Sutori is still moving along. We are changing it and adding to it every day, and every day we get that much closer to a finished game. We look forward to showing you more progress next month. And as always, we thank you for your ongoing support and interest. We’ll see you next month.